So… it’s that time of the month again and you feel like you’re becoming a whole other person. You are getting moody, feeling sluggish, have bloating and craving foods that you know you shouldn’t be indulging in. Yes, you can go to the drugstore and get some over the counter medicine that will help to alleviate the pain and some of your symptoms; but did you know that the best defense to Mother Nature is through food? I don’t mean curling up on the couch with a bag of chips or raiding the candy display at checkout. You can reduce your PMS symptoms and tame that monthly lion by including the following foods in your diet. 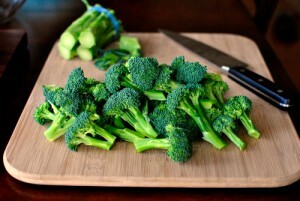 High Fiber Vegetables – While eating broccoli, brussel sprouts and dark green vegetables like this might seem like you’re only going to contribute to your period bloat, these high fiber and water content foods can actually ease that belly discomfort by moving things along. Keeping your digestion going will ease gas, pain and puffiness. An added bonus to keeping your fiber intake up is that it has also been shown to regulate estrogen levels. We all know that fluctuating hormones during our period contribute to our ever-changing mood. Keeping things a little more level will keep you and everyone around you feeling better. Complex Carbohydrates – Eating foods such as brown rice, whole grain breads and sweet potatoes are the perfect “food fighters” for your grumpiness. Slow digesting complex carbs are known to raise your “feel good” hormone, serotonin. Keeping your serotonin levels higher through the day will keep you more energized and feeling fuller too. Many women feel they need to follow an extremely low carb diet, but it’s proven that those on this type of diet suffer from more depression and anxiety than those eating small amounts. 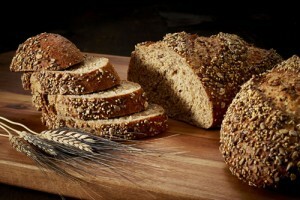 Complex carbs are also full of B vitamins, which will reduce irritability and depression as well. Eating whole grains and whole foods like this keep you away from preservatives and other ingredients that can often times trigger mood swings through chemical reactions in your brain. Any foods that we can eat to maintain hormonal levels, especially around our period, are welcomed. 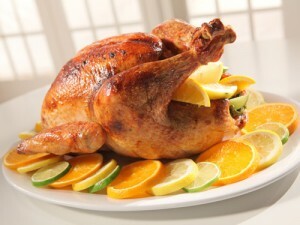 Lean Protein – Eating lean cuts of meat such as chicken, turkey and beef can help increase your energy levels. Protein like this is high in vitamin B12, which will give you the energy to fight off that sluggish feeling you get during your monthly visitor. Whole eggs are another form of protein that is at your service to keep PMS at a minimum. We all know that with the changes in our hormone levels we get some ravenous cravings. By staying one step ahead of the cravings and hunger you can better stay on track with your nutrition. Starting your day with a meal that contains protein and healthy fats will keep you feeling more satisfied and energized during the day. Eggs are also high in vitamin D, A and E. These vitamins work hard to control the chemical changes in your brain that cause PMS. 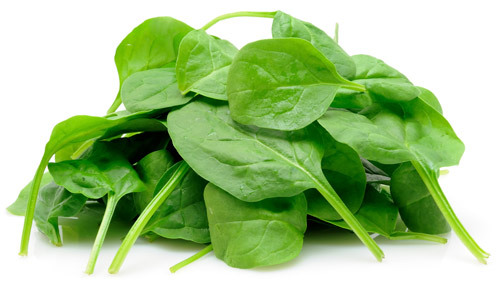 Kale, Spinach – These dark leafy greens do help with your hormone levels but the best effect they have is on your skin. With the levels of Vitamin A they contain that salad will not only be helping your waistline but it will be working to keep your skin free of hormonal acne. Vitamin A is fat-soluble and combats dry skin and pimples. Nothing worse than not feeling too great and then on top of that having a major zit right there shining for the world to see. Omega 3’s – The fatty acids are another mood booster. 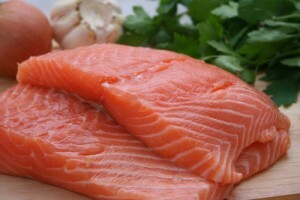 Foods like salmon, nuts and flax can trigger production of serotonin and that will immediately boost your mood. Did you know that serotonin is the same chemical released when you bite into that chocolate bar? When that chocolate craving comes up simply get in the right Omega 3 foods and you will be sure to feel relief from your PMS and even better later on for not eating that chocolate candy. Nuts are also high in magnesium. Magnesium helps to reduce water retention and improve your mood. LIMIT caffeine, salt and sugar. Caffeine – Yes, it is a definite mood changer. It will put your mood into overdrive and then drop you like a hot potato when it wears off. When hormone levels are already fluctuating this week the last thing you want is to contribute to it. Try going decaf or opt for some mood soothing chamomile tea. Sugary snacks – Here’s another thing that can send your day spiraling. Sugar can have the same effect as caffeine by bringing you up and then right back down. Not to mention what processed sugars will do to your Bombshell booty. Salt – While maintaining a good level of sodium in your body is needed for energy and muscle production reaching for a bag of chips and salsa is not. You reach for that because you think it will help you feel better and get you through those cramps but all it will do it add to the water retention and bloat that you want so desperately to go away. While I can’t promise that you’ll never experience the symptoms of PMS again by sticking to these foods in your diet. I can guarantee that you will feel better during this dreaded time of the month and notice that you feel better in the other weeks as well. The Bombshell Fitness nutrition plans are designed with a woman’s body in mind. You will feel healthier and more energetic year round.